It all begins with a book. Not a common book but an original work of art in book form which is unique in the world. An illustrated manuscript as a picture gallery, alongside with painted miniatures and a beautifully written text. 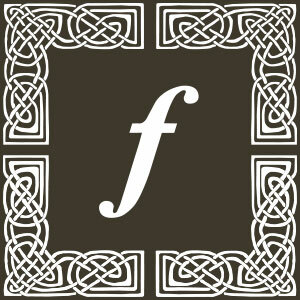 Only the facsimile production process enables us to make it accessible to the public. It alone provides the means for walking through an irreplaceable medieval work of art and enjoying at leisure page after page of its luxurious uniqueness. 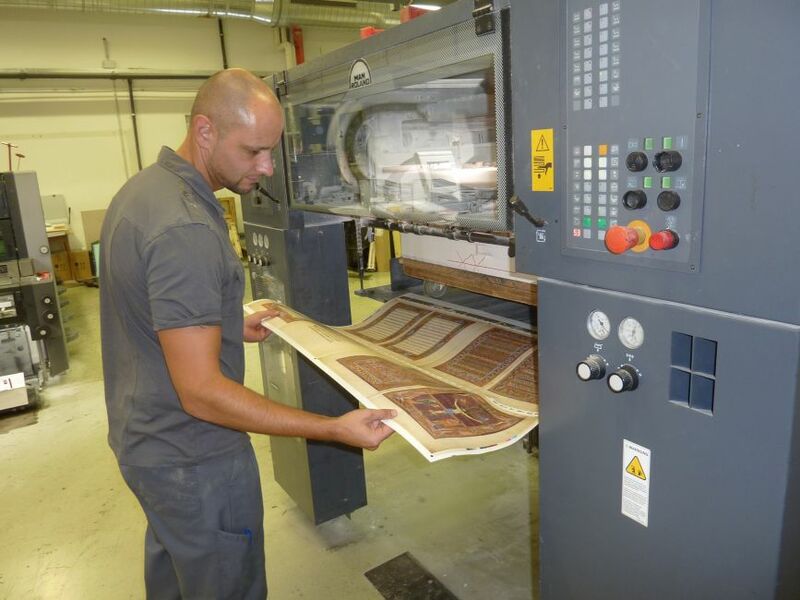 We at Faksimile Verlag have developed costly and time-consuming technical production processes allowing perfect reproduction – valuable editions as true images of the original. The first step in the production process involves collating all of the image data from each single page of the manuscript. Up to just a few years ago this process took place by taking the manuscript out of its binding, in order to be able to photograph it. 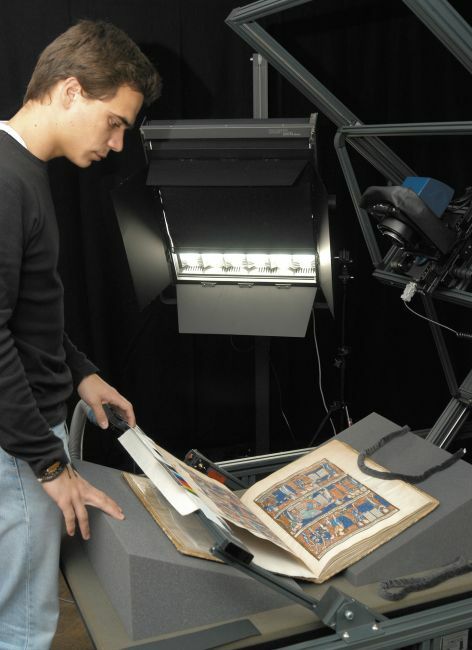 The restoration division of the manuscripts collections at the University Library of Graz, Austria, spent many years developing a ‘camera table’: this technology, which Faksimile Verlag sponsored significantly, enables sensitive book materials to be digitalized without taking them apart. 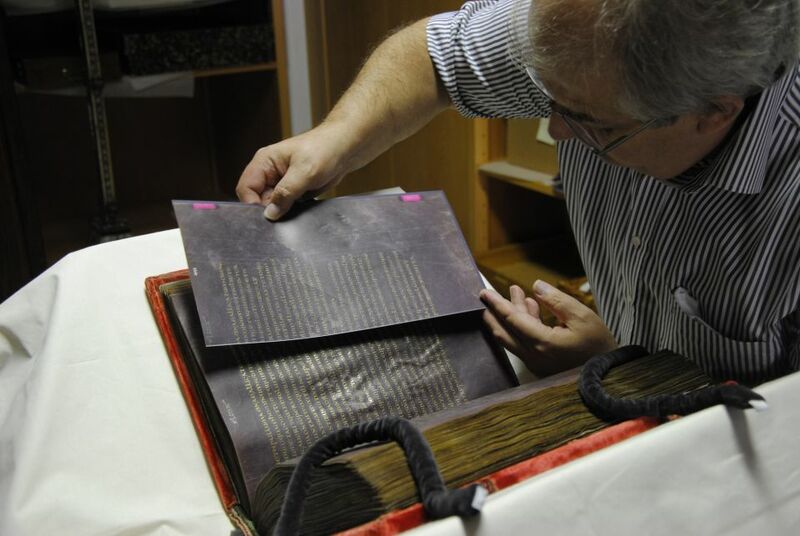 The original is opened up to a maximum of 90 degrees thus enabling the manuscript to be protected to the maximum. As soon as the data capture process is complete, the data is checked and corrected according to the principles of the colour theory. The press proofs of all folios which follow this checking process then serve as the basis for the first colour comparison with the original. After much checking and correcting, and not until all of the colours exactly match those of the original, is the printing process allowed to begin, which is closely monitored and under continuous quality control. Both the press proofs and the actual facsimile itself are printed on high quality acid-free and non-ageing paper. One of the major challenges is posed by the reproduction of metallic colours such as gold and silver. These do not only lend a particular charm to the grandiose works of art, but are often indeed of decisive importance with regards to the content of the manuscript as a whole. The digital image data collation recognizes these metallic colours as part of the normal colour spectrum: the gold, depending on the reflection, from yellow to green and brown, even black; the silver from white and blue to yellow, depending on the process of oxidation. 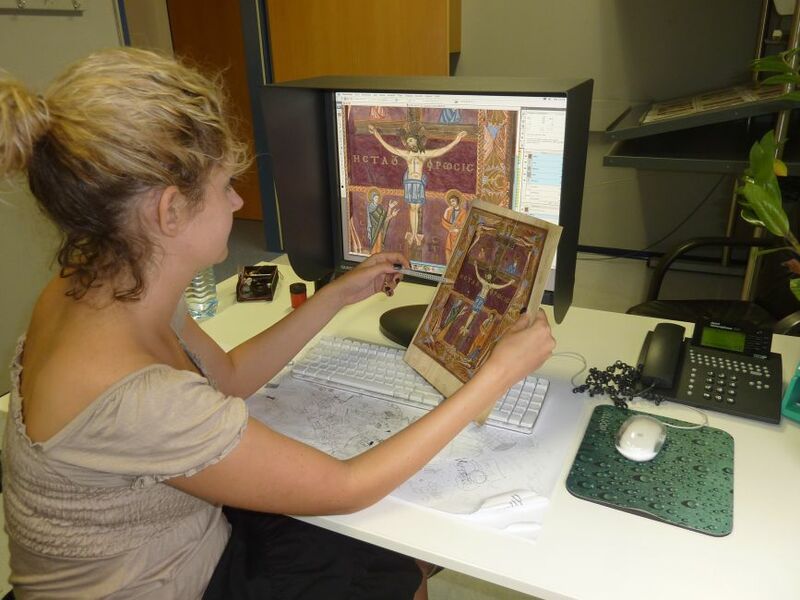 The metallic colours have to be recreated on the computer screen in order to be able to make the printing plates for the gilding of each individual folio of the manuscript. This is an immense amount of work and can only be carried out by experienced specialists. There are varying methods of applying the gold or silver, depending on the original. A final process of simulating the patina reflects the contemporary look and feel of the work and depicts the ageing process the metallic colours have undergone. 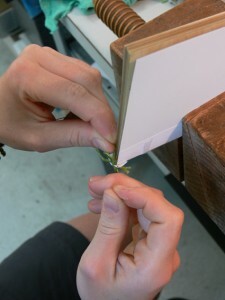 In each facsimile edition the original edge trimmings of every double folio are copied, indeed even the holes which are in the original parchment leaves are simulated: these processes involve extra stages of work and in turn enable an authentic experience of the manuscript. The reproduced quires are gathered using methods of traditional craftsmanship and stitched by hand. The book block is bound in genuine leather which is previously trimmed at the edges. Both the front and back covers and even the edges are stamped with gold foil, just like the original. In order to guarantee the exclusivity of each facsimile edition, every copy of a limited edition is painstakingly numbered by hand: a time-consuming task to say the least. Each facsimile constitutes a newly created work of art and thus medieval masterpieces of book illumination are able to live on as masterpieces of the art of facsimile reproduction.